Urinary Infection Prevention For Horses or Urinary Infection Treatment For Horses are vital to your horse's heath and well being. Do you see your horse strain during urination? 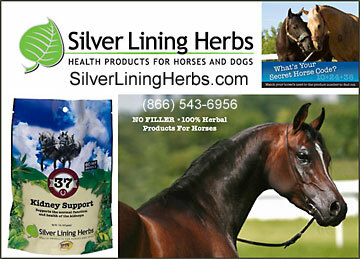 Does your horse urinate small amounts frequently? Is the urine a dark brown color instead of clear or light yellow? Finding supplements or products to help prevent or treat a urinary tract infection for your horse will make all the difference! All images and content Copyright© 2013 by InfoHorse.com, Equusite.com.